Is your desk job giving you aches and pains? Do you spend long hours glued to your chair? 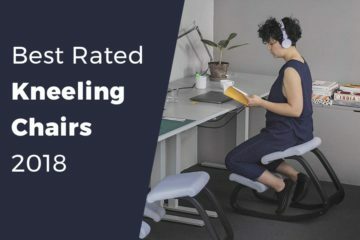 Have you explored various seating options, perhaps even a standing desk, but find yourself increasingly frustrated and in discomfort? Well, it may be time for you to try a kneeling chair. This in-depth guide provides you with an overview of the different ergonomic kneeling chairs available in the market. We have highlighted benefits unique to each kneeling chair as well as any potential disadvantages you should know about. This guide will help you choose the best ergonomic kneeling chair for your office or home in order to enhance your sitting ergonomics, relieve back pain and improve your posture. A kneeling chair is a type of sitting chair that drops your thighs to an angle of about 60° to 70° from vertical (a conventional chair usually maintains a body angle of 90°). This changes your body weight distribution to ensure less pressure on the lower spine, resulting in better posture and less back pain. The kneeling chair is not a new invention. It first made its appearance almost 4 decades ago when a Norwegian inventor who understood the importance of ergonomics invented the Balans chair. This inspired three other inventors, Rykken, Peter Opsvik, and Professor Svein Gusrud, to design kneeling chairs that were based on the same concept. In fact, the concept of sitting in a kneeling position dates back even further into the past. Sitting in this posture is known to be an ancient Buddhist tradition for meditation practice, where Buddhist monks utilized pillows and benches to create a comfortable kneeling position. A kneeling chair isn’t just solely for work. Even if you do not have a desk job, you probably still spend large amounts of time in a seated position for leisure. Kneeling chairs work great as a leisure chair too! You can watch TV, play with your phone or tablet, game or just spend time sitting around in a kneeling chair. 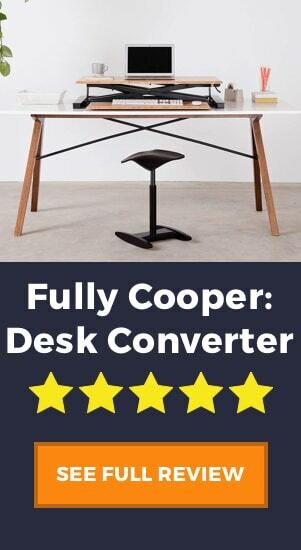 Why not stick with the conventional chair? Anyone who has spent long periods of time seated would be well aware of the importance of good posture. Prolonged periods of poor posture often result in a host of musculoskeletal problems, most commonly the dreaded lower back pain. The conventional posture supported by a standard office chair is an upright sitting posture with 90-degree angles at the ankles, knees, hips, and elbows. This is less than ideal. Studies have found that prolonged time spent in this upright seating position can cause negative consequences on the body. Some of these adverse effects reported by researchers include inadequate nutrition for the intervertebral discs (the discs between your spinal bones), decreased range of lumbar motion (moving becomes difficult) and increased lumbar spine stiffness (that all too familiar feeling of a stiff back). Therefore, if you are someone who spends a good amount of your time seated, it would be wise to explore alternative seating solutions that would provide you with better postural support than a conventional chair. How exactly does a kneeling chair work? Firstly, an ergonomic kneeling chair positions you with a wider hip angle than your average office chair. By lowering the angle of your lower body, your hips come forward. As a result, your back, shoulders, and neck are all in alignment, resulting in a nice neutral spine. Proper positioning of your body like this would result in less back and shoulder pain and in many cases can help people who suffer from knee pain. Also, as the kneeling chair does not have the back support that is usually present on conventional chairs, it forces you to activate your core muscles. A common misconception about ergonomic kneeling stools is that they are not suitable for users with weak knees. This is incorrect. In a well-designed kneeling chair, the knees do not bear most of the body weight. In fact, most of the weight is supported by the buttocks and some of it by the shins (not the knees). The knee rests are primarily there to keep the user seated in the chair. 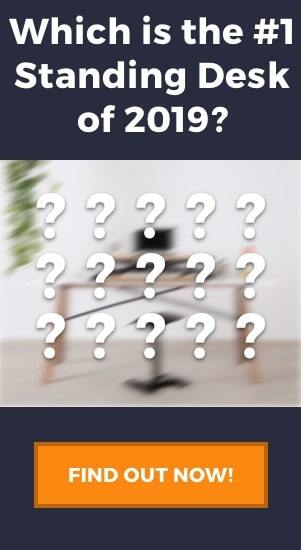 With all that said, let’s proceed to our roundup of the top 5 kneeling chairs of 2019. On the top of our list is the latest model of the Sleekform Ergonomic Kneeling Chair, the San Diego model. 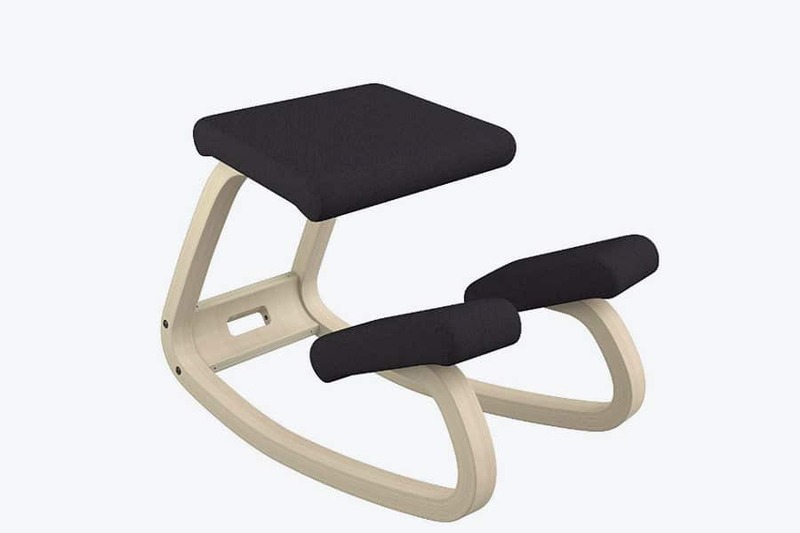 The Sleekform Kneeling Chair is an ergonomic stool that regularly receives fantastic reviews and in our opinion, it has earned its spot as the best kneeling chair of 2019. One of the features that make the Sleekform Kneeling Chair stand out from the competition is its exceptionally thick cushioning. The knee rests and the seat of this kneeling chair has 4 inch thick cushions comprising of both memory foam and regular foam, in a combination designed to hit that sweet spot between firmness and comfort. With the Sleekform, you can be sure to still feel comfortable even after hours of sitting. Best of all, the padding is made of recyclable material, making the Sleekform an environmentally friendly choice. Like any high-quality kneeling chair, this ergonomic stool comes with a solid set of wheels to aid mobility. The Sleekform Kneeling Chair utilizes four rollerblade wheels to allow you to easily move the chair around your home or office. We found these rolling wheels to be a step up from the traditional casters found on other chairs. They provide a more seamless rolling experience with less of that pesky locking feeling found in traditional casters, allowing you to smoothly glide this kneeling chair over a variety of surfaces, even carpets. Finally, this kneeling chair is suitable for a wide variety of body types and weights. Are you a little taller or heavier than the average person? Well, you do not have to worry if this chair would fit you. Using an easy-to-reach dial found under the seat, you can adjust the height of the Sleekform kneeling chair using an easy-to-reach dial found under the seat within a generous range of 21 inches to 28 inches. It also supports body weights of up to 250 pounds, which is up to 50 pounds more than many other kneeling chairs. Some users have complained of this chair being a bit too high. 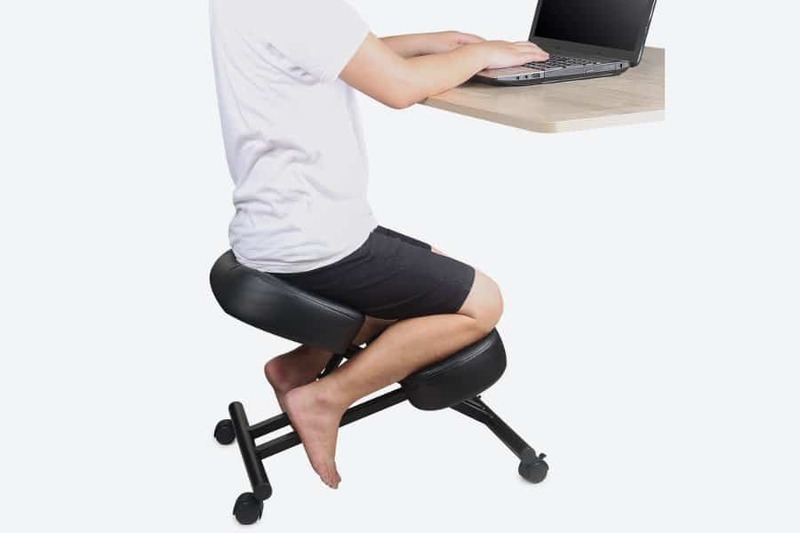 Whilst definitely comfortable on its own, if you have a desk that is on the shorter side, be aware that the Sleekform kneeling chair may be too high to fit together comfortably. Cool mesh fabric – no sweaty feeling! Just like the Sleekform M2, The Dragonn Kneeling Chair ticks all the right boxes when it comes to the ergonomics of a well made kneeling chair. First of all, the Dragonn Kneeling Chair comes with a generous amount of cushioning. Although it is less cushioned than the Sleekform, the Dragonn Kneeling Chair certainly offers more cushioning than many other kneeling chairs in the market. With 3 inches of all mesh cushions lining the bottom and knee areas of this kneeling chair, you can be sure of a comfortable and supported sitting experience. One of our favorite features of this ergonomic kneeling stool is the choice of mesh fabric for the cushions. Mesh fabric allows for plentiful airflow between the kneeling chair and the surface of your body. Because of this, it will keep your skin feeling cool. If you are someone who sweats a lot, this is especially important, as the extra ventilation brought about by the mesh fabric will go a long way in keeping you dry and comfortable. This chair comes with 4 mobile casters at the bottom, allowing you to move it to exactly where you need it. Even though the casters may not be as smooth and seamless in motion as the wheels of the Sleekform M2, they do have one big advantage. Two of the casters are lockable! Therefore, unless you actually want to move the kneeling chair around, you are kept securely in place. We found the addition of lockable wheels to be a great feature. Not only does it add stability to an already well-built chair, it also adds an extra element of safety. The sturdy steel frame of the Dragonn ergonomic kneeling stool will support body weights of up to 250 pounds. It also offers a height adjustable base, from 21 inches to 28 inches in height, making this a versatile chair that is suitable for people of all shapes and sizes. Since its invention in 1979, the form and design of the kneeling chair have evolved greatly. However, the Varier Variable Balans Kneeling Chair is a kneeling chair that stays true to the original Norwegian design without compromising the comfort that comes with modern ergonomic advancements. This is an elegant kneeling chair that could belong in the office as an ergonomic chair and at the same time, you could use it in the living room as an art piece. 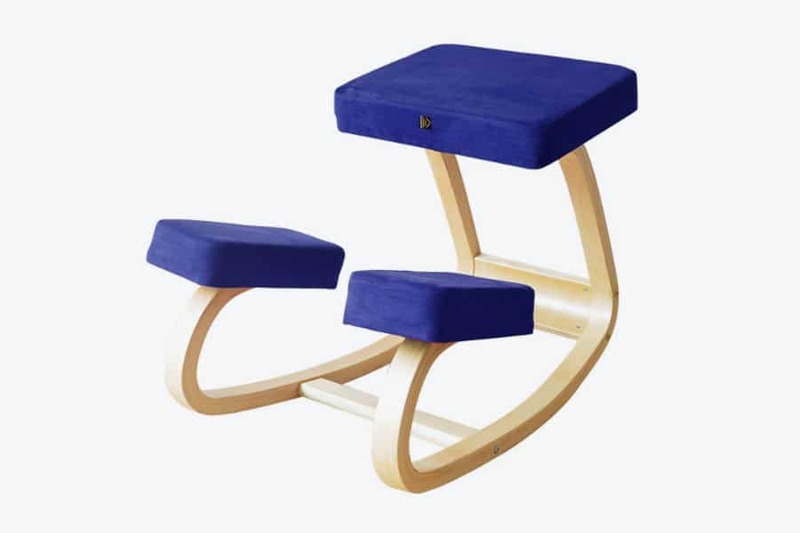 It is so versatile that users have even reported utilizing this kneeling chair as a meditation stool. At first glance, it quickly becomes apparent that the Varier Variable Balans has knee pads that look very different to your typical ergonomic kneeling chair. 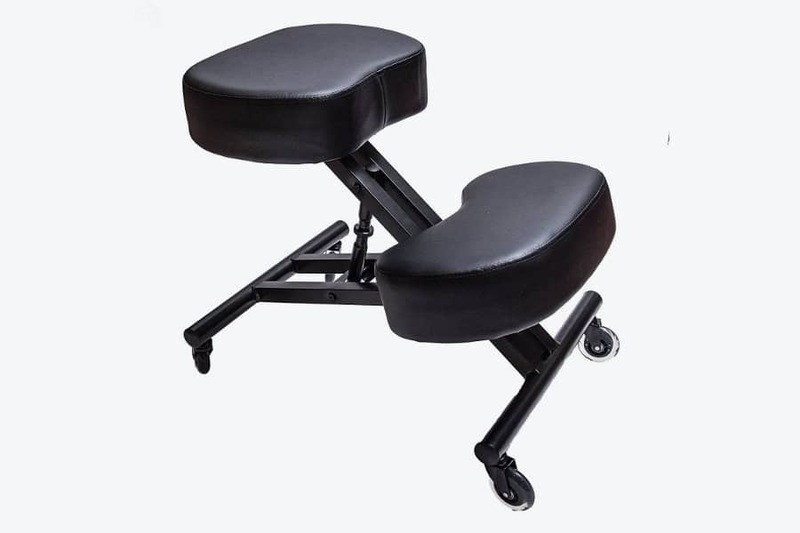 Instead of the more commonly seen single large knee rest, this kneeling chair has two smaller knee rests. This unusual design comes with advantages of its own. When seated in this kneeling chair, your hips would be automatically forced to be open. This position would engage the muscles of your abdomen and lower back in a natural and supported way. By encouraging you to engage your core muscles, this kneeling chair helps you improve your posture. A key difference between the Varier Variable with many other kneeling chairs on the market is the lack of wheels. While it high-quality beech plywood sled base frame gives this chair its uniquely high-end Scandinavian look, it makes it more difficult to adjust. The wood frame is flexible, but certainly not as adjustable to different heights. On the other hand, the fixed base of the Varier Variable allows it to feel a bit like a rocking chair. 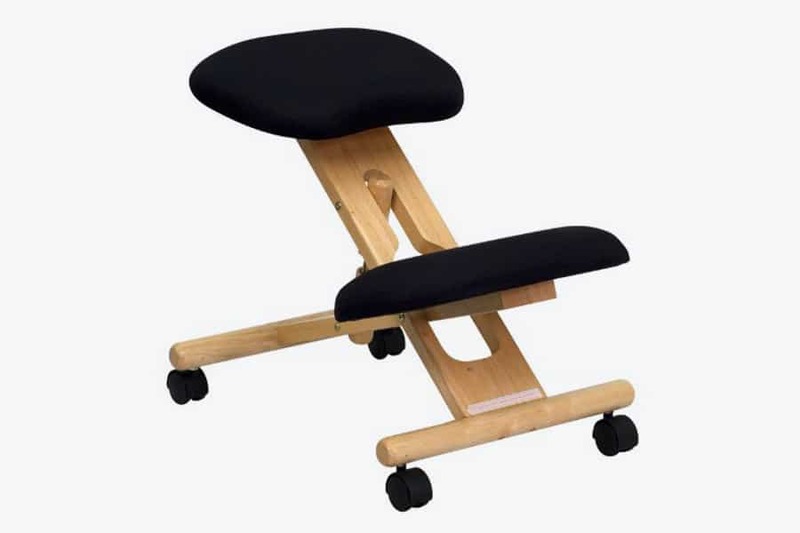 As you sit, these small rocking motions will result in a more dynamic and active sitting experience. The increased motion could help prevent some of the problems that arise from sitting still for too long, such as back pain. In a nutshell, the Varier Variable Balans is a balanced combination of classic form and modern function. If you are looking for something ergonomic but stylish at the same time, this could be the perfect kneeling chair for you. A few years ago, if you wanted a kneeling chair designed after the Norwegian trailblazer kneeling chair of 1979, you had no option but to purchase the Varier Variable Balans. As beautiful as the Varier Variable Balans kneeling chair is, it is also undeniably on the pricier side. But thankfully, this is not the case anymore. Now, we have options! We present to you, the MallBoo Ergonomic Kneeling Chair. The MallBoo Ergonomic Kneeling Chair is modeled after the kneeling chair that Mengshoel and Opsvik invented in 1979. It looks very similar to the original kneeling chair and the Varier Variable Balans, but has one key difference. At less than half the price, it is a lot more affordable. Firstly, although both the Mallboo and the Varier are made out of wood, the Mallboo frame consists of a cheaper but still sturdy alternative – birch veneer plywood. For the fabric, the Mallboo Ergonomic Kneeling Chair opts for the more economical option of polyester. Even though the construction materials of the Mallboo may not be high end, the overall build quality is solid and dependable. The frame of this kneeling chair is strong enough to support up to 300 pounds in body weight, the highest weight bearing capacity of any chair on this list. Another sweet advantage of the Mallboo is the wide variety of colors to choose from when purchasing the Mallboo Ergonomic Kneeling Chair, allowing you to pick the best colored kneeling chair to complete the look of your space. The height of the Mallboo is not adjustable due to its wooden frame, but it somewhat makes up for it by its adjustable seat. You can rotate the seat of the Mallboo Ergonomic Kneeling Chair up to 180 degrees, allowing you to adjust the kneeling chair to an angle that is most suitable for you and your body. However, there have been a few complaints about the Mallboo Ergonomic Kneeling Chair. The chief concern voiced by buyers involves the padding. Compared to other kneeling chairs, both the seat and knee rests of the Mallboo have a thinner and softer layer of padding. This can cause discomfort after sitting for a few hours. Buyers have also mentioned problems with the dowels in the chair, stating that some of the dowels attaching the knee rest as well as the seat to the chair were of the wrong length. If budget is not a constraint, the Varier Variable may be a better choice. But if you are looking to purchase a kneeling chair that is very similar to the Varier Variable in form and function at a fraction of the price, the Maliboo Ergonomic Kneeling Stool is well worth considering. If you are looking for a kneeling chair that has the wooden elements of the Mallboo and Varier Variable with the modern ergonomics of the Dragonn and Sleekform kneeling chairs, look no further than the Flash Furniture Mobile Ergonomic Kneeling Chair. This is a well made kneeling chair that offers great value for money. Considering the features you get for the price you pay, the Flash Furniture Mobile kneeling chair is a great choice for first timers. Firstly, this is a product that looks great. Ergonomic furniture can sometimes look strange and out of place, but not this kneeling chair. The natural wood frame lends this chair a versatility that helps it blend in with its surroundings, whether at the office or at home. 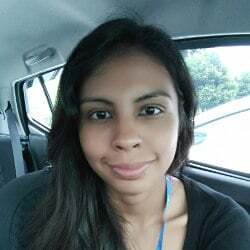 It is not just all about looks either. This is an ergonomic kneeling stool that does what it says on the tin. The open angled design results in a healthier sitting posture. By placing most of your body weight on your seat, with knee pads for support, it takes away pressure from your lower back and spine. With 2.5 inches of padding, it is comfortable to sit in for reasonable periods of time. Mobility is not an issue with the Flash Furniture Mobile Kneeling Chair as this chair comes with dual casters, making it easy for you to move it around. It is also quite light at 17 pounds, making it even more mobile. Although the weight capability of this model is limited at 200 pounds, the frame is easily height adjustable, making it still suitable for you even if you are a little taller or shorter. However, there may be some potential downsides to be aware of. One recurring complaint about the Flash Furniture Mobile Kneeling Chair is the low-quality upholstery and poor durability. The Flash Furniture Mobile Wooden Kneeling Chair may suit your needs if you are new to the world of kneeling chairs and would like to start off with a well designed but economical model that looks as great as it feels. Just be aware that some compromises in build quality may have been made to keep this chair accessible to a variety of budgets. Whether shopping for your very first kneeling chair or looking to upgrade an existing one, there are a lot of factors to take into consideration. From build quality, cushion thickness, to coasters versus rollerblade wheels, the array of options and choices can be mind-boggling. In the end, we would suggest defining your priorities and making a choice based on what is important to you. If you need an ergonomic chair to spend many hours sitting in, select one with extra cushioning. If your kneeling chair will be the design centerpiece of your space, pick the one that emphasizes elegant design. If you want to give kneeling chairs a try but do not want to invest too much, some of the budget-friendly options are just as comfortable and ergonomic. 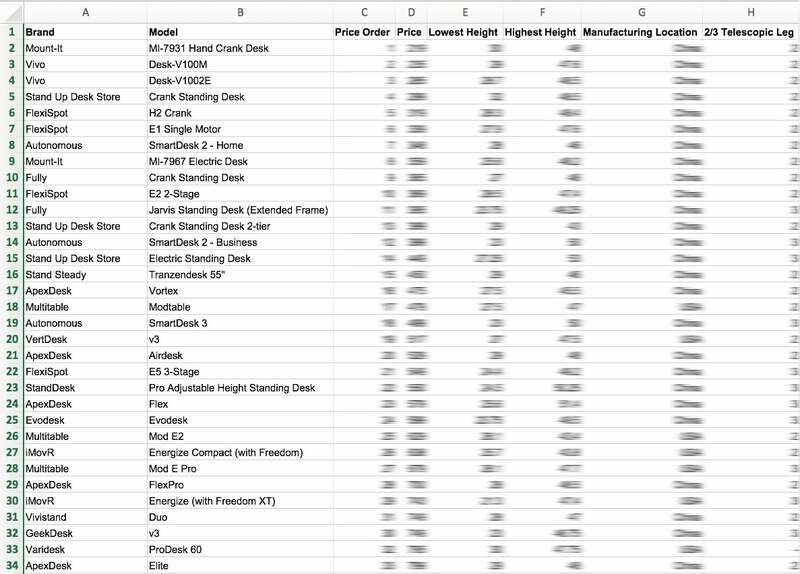 We hope this guide helped you select the best ergonomic kneeling chair for your needs. A healthier way of sitting leads to a happier and healthier life!